Five trainers agreed to speak on the record, offering their reactions to what they saw in the PETA video and their hopes for the good to come out of it. By all accounts Al Capone was a feared and successful gangster, but perhaps not such a successful horseplayer. Relive the 1959 San Antonio Handicap at Santa Anita, won by the 1958 Kentucky Oaks winner, with this first-hand account from a then 15-year-old girl. 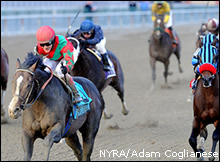 Did 2013 produce a high number of same year Breeders’ Cup run backs? We dig in to the last five years and find out. 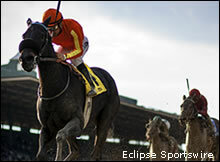 How did the 2013 Breeders’ Cup run back starters fare throughout the rest of 2013? The results might surprise you. 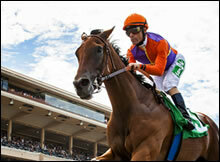 Turf fans adored him, considering him almost a pet as well as an admirable athlete. But it was his humble origins that won him the most affection. We’ve updated the entire site, both the original content area and The Wire, to use a fully responsive, mobile-optimized design. Now, whether you’re at your desk or out and about you’ll have an easy time viewing our site. They came, they ran, they made history! Find out who goes down in the annals of BC history from 2013.